Troy Hunt put together a list of top Australian banks and their SSL rating using the Qualys SSL Server Test that reveals the somewhat depressing state of SSL security of various banks down under. Update Nov 2015: Lots of great progress by many of the institutions with the exception of KeyBank still showing Poodle vulnerability, Union needing to support newer tech, Mint lacking overall considering they’re a tech company and Citibank being lame for blacklisting SSL Labs. I’ve been using Mac OS X daily since 2001 when I purchased my Titanium PowerBook and I still can’t get used the home and end key behavior. Note that you will need to reboot after creating this file for it to take effect. It works – Test it, repair it or part with it. A wealth of online technical information makes this easier than ever. A small footprint – Eject unusable peripherals and accessories. Keep the essentials. Make it usable – Forget slow-loading tapes and corrupt disks, a fast loading is essential. Something special – It should either be collectible or one I have a connection with. My ‘Beeb’ is in good condition and works well although the case screws have long since disappeared (a common theme in my collection) and it needed a good clean. These older mechanical keyboards attract serious dust and dirt. Schools were filled with BBCs in the 80s and I’ve written about the origins of this love affair before. 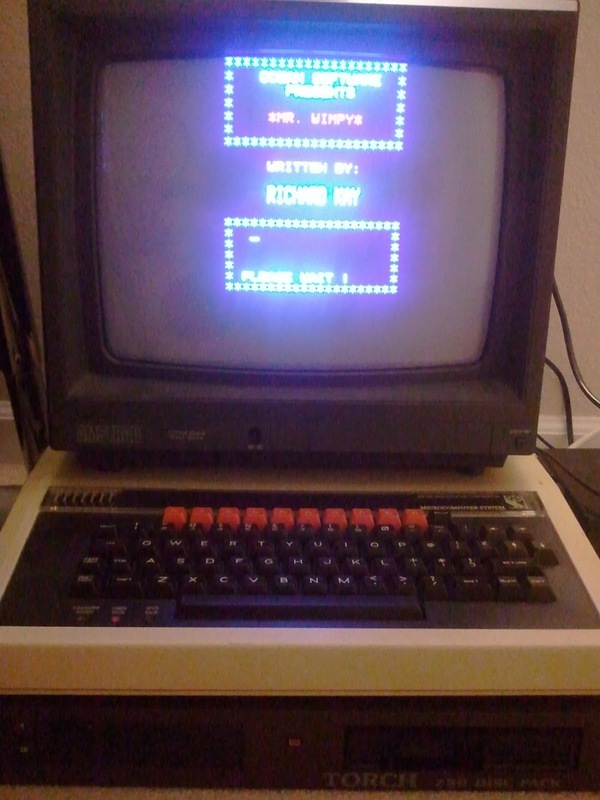 I learned first BBC BASIC and then some 6502 assembly (mixing it with Basic) while at school. I later picked this machine up around 91 after seeing a local paper advertisement. A giant twin 5.25″ drive housing system (shown above) contained my one still-functional floppy drive. I want to be able to read some physical disks but in keeping with the minimal footprint I transplanted the floppy drive into a 5.25″ externally powered CD-ROM enclosure. Big reduction. 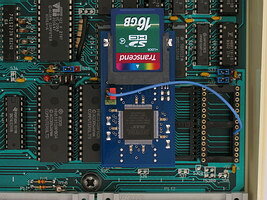 The BBC Micro has a few video output options – UHF, composite over BNC and RGB over 6-pin DIN connector. By a staggering coincidence the pin out is identical to the Amstrad CPC so works directly my Amstrad monitor, no adapter cable required this time! Retro Isle comprehensively reviewed GoSDC in February (2015) and have a bunch of usage tips and tricks too. If you see ROM slots main and free with numbers your device is correctly controlling two slots and can patch the DFS for you. If not, check the adapter and cable. If you see “GoSDC : No flash card inserted” check the card is securely in and power cycle the machine. If it still doesn’t recognize it try another card. Note: When switching card you will need to press CtrlBreak for the machine to recognize it. If you have a card greater than 4GB then it will create 4GB areas which can be switched between with *SDCAREA number. I’d recommend switching to the additional areas, formatting and CtrlBreak after each before you put any software on it as this command will wipe it out again. If you mess up your ROM selection and are unable to type because of ‘No drive’ do not fear! Press caps-lock and break twice to get the prompt back and choose another. One option is to image all your floppy discs to SD card but you are probably going to find that those discs are corrupted. Thirty year old floppy disks are not reliable. Another option is to download old software online. This can be a grey area as the software is copyrighted but no longer sold and many authors are okay with allowing it (e.g. Ian Bell and David Braben of Elite fame). A great site that honors the wishes of authors can be found at the weirdly named Stairway to Hell. The author of GoSDC supplies Windows scripts to download, unpack and write the files to disc which I took the liberty of porting to Bash so they could be used on Mac OS X and Linux. Will list the contents although you’ll probably want to put a wildcard after it to limit it down. Remember CtrlShift pauses the screen on the BBC! Then, to mount a disc you use *SDCDISC and provide the name to mount. You can also use wildcards here and it will pick up the first match. e.g. I put some BBC Micro tips and tricks together or you can can grab PDFs of pretty much every book created for the BBC Micro . You can also see which discs are currently selected using *SDCDISC with no arguments. You’ll note you can mount a second disc and the command to do that is *SDCEXTRA with usage otherwise exactly like *SDCDISC. Pi Day (3/14/15 = 3.1415) was last weekend and my work put on a session for kids about how to program the Raspberry Pi using Scratch and a bread board (using CanaKits so we had a bread board, LEDs, switches, wires, resistors etc.). The original Raspberry Pi was heavily inspired by the BBC Micro and even the name “Model B” took cues from the original. 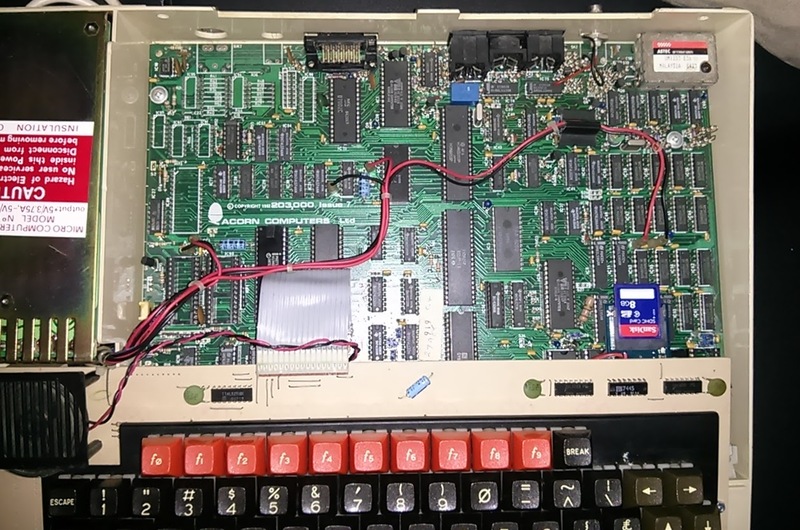 Few people also seem to realize that the manufacturer of the BBC Micro – Acorn – went on to create a processor for its sequel the Acorn RISC Machine or ARM for short. That’s right, the Pi is powered by an Acorn processor design (like most smartphones) so it made sense to bring it in. Alas it was a hectic event with little time to show the machine. 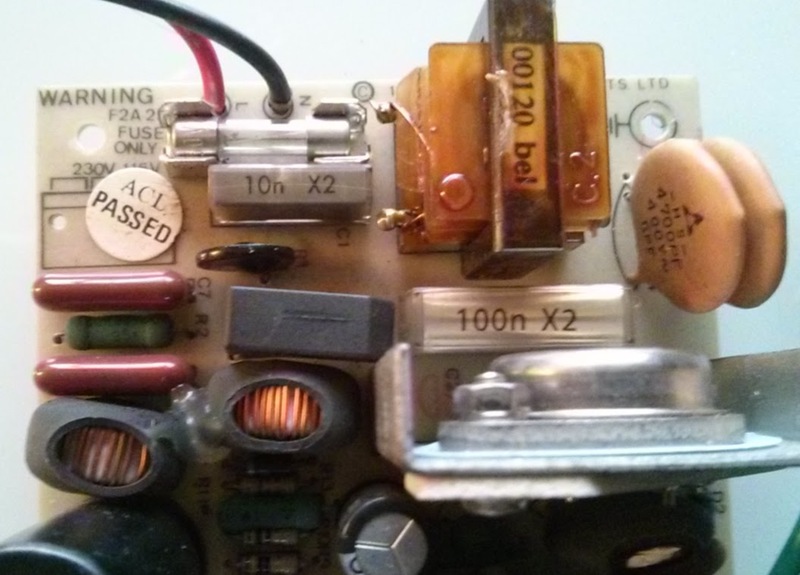 In fact just sitting there it popped a capacitor in a puff of smoke! 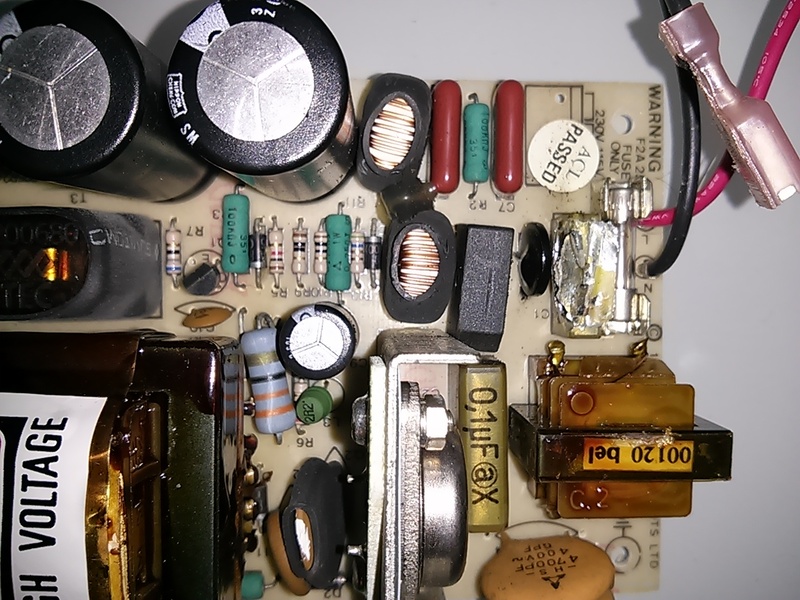 Despite the noise and smoke the dying capacitor didn’t actually stop the machine working as it is part of the electromagnetic interference suppression not the power circuitry itself. Still, it should be repaired and I thought I may as well replace the other X2 film capacitor as they have been failing over the last 30 years. I picked up a couple of RIFA PME 271 M capacitors – 100nf and 10nf – (with a matching pitch so they would fit correctly) from Mouser for less than $2 each plus shipping. Five minutes of de-soldering and soldering later and it was good as new!